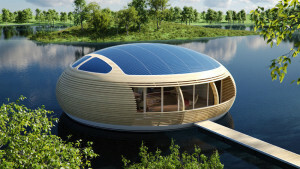 There are few things I can respect and admire more than when an company makes one thing and makes it well. 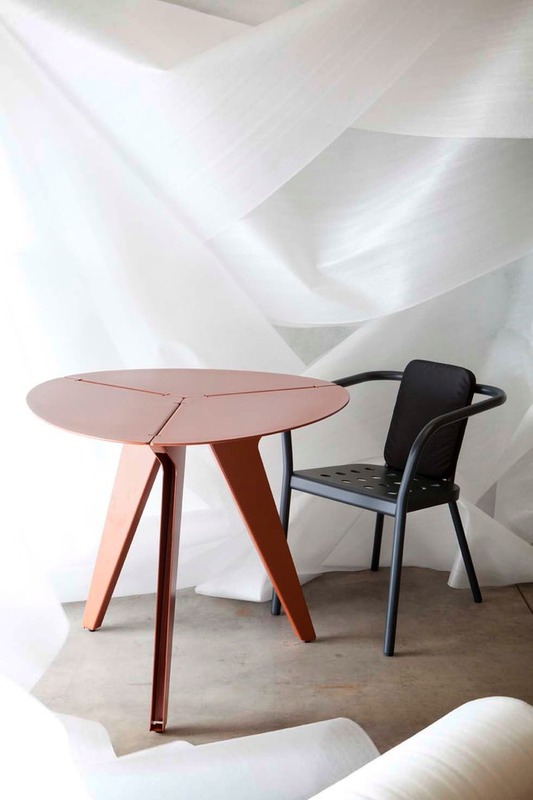 Whether it be a restaurant with that one iconic dish or in the case of Matière Grise, a furniture company that work exclusively with one material: aluminium. 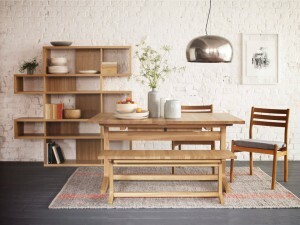 Although they have already mastered their medium with several extensive furniture ranges, Matière Grise continue to explore all the material’s potentials with their colourful industrial aesthetic. 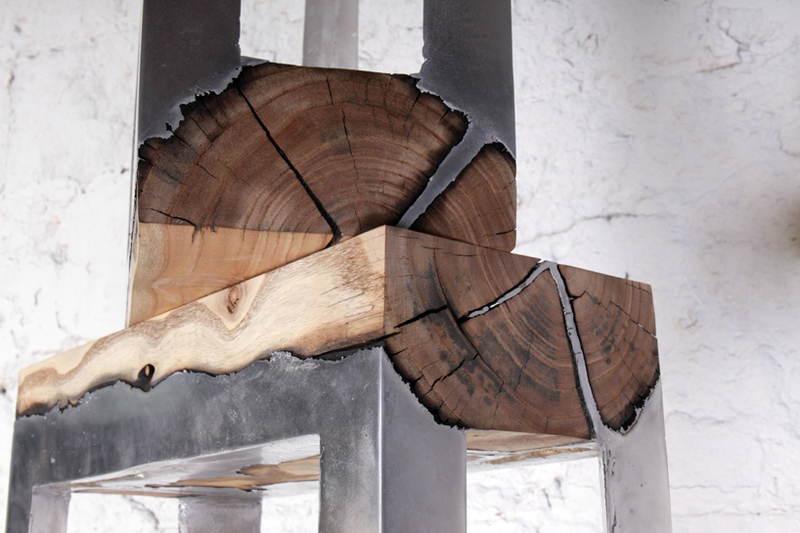 Matière Grise is a French furniture producer with a distinctive style created by lead designers Quaglio Simonelli, Constance Guisset, Luc Jozancy, and Remi Casado. 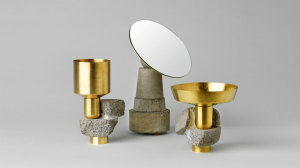 With commercial success in their native land, the brand is currently in the process of expanding their offering to the UK, and several of their pieces can already be ordered through Made In Design. 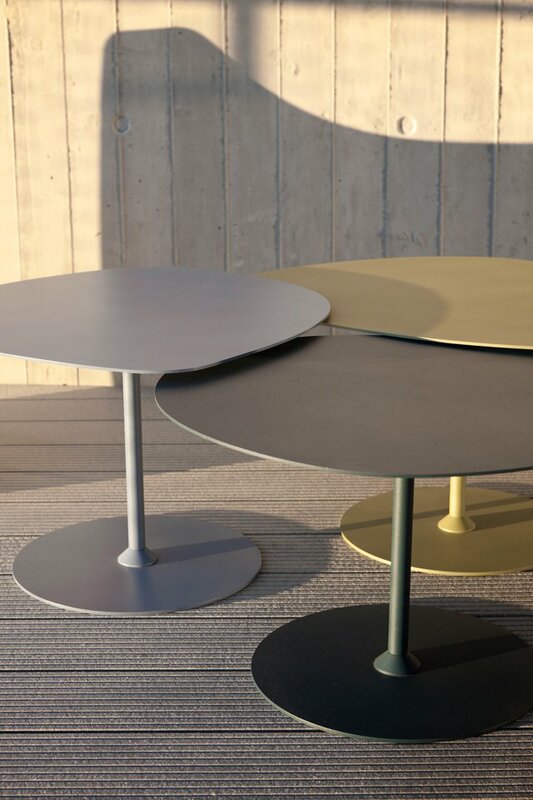 An array of three low coffee tables with varying column heights so that they can overlap and nestle amongst each other as desired. 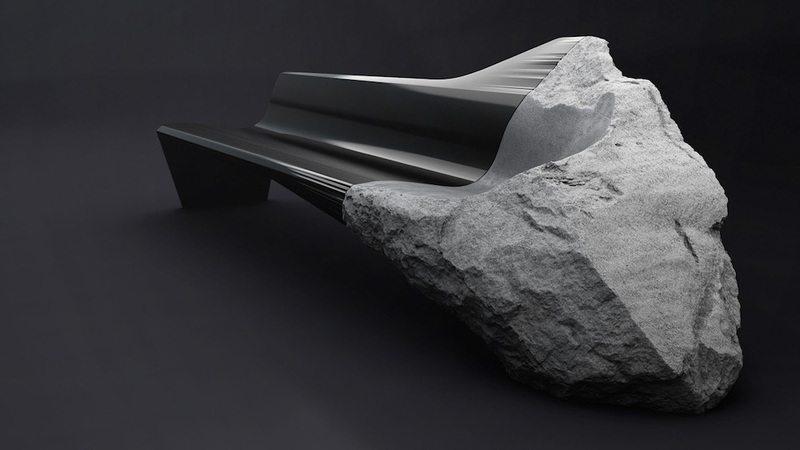 The surfaces bear irregular rounded forms resembling beach-smoothed stones, with the French name of the piece ‘Galets’ literally translating to ‘shingle’ or ‘pebbles’. 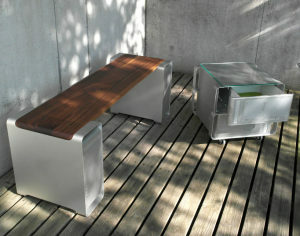 As with Matière Grise’s other furniture, the 3 Stones Tables are finished with an epoxy powder-coating. 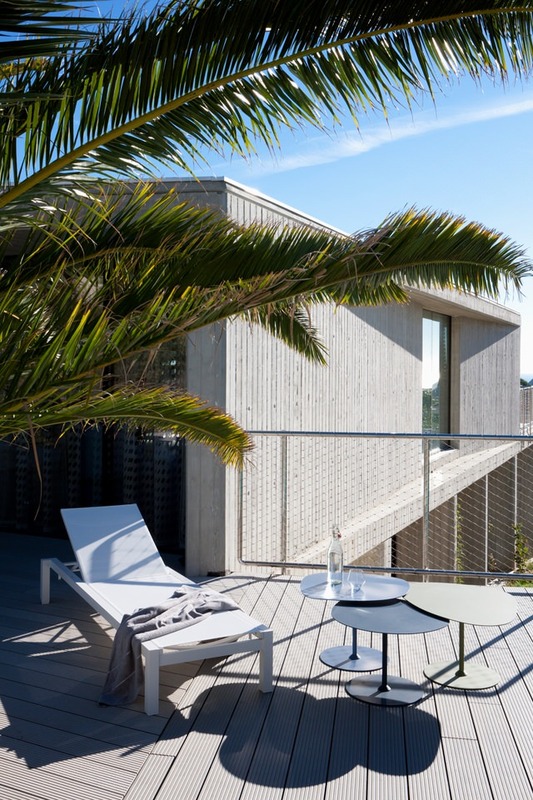 This creates a hardwearing painted surface that can stand up to the stresses of weather and day-to-day usage both indoors and outdoors while remaining vibrant and visually engaging. A bold tubular armchair design that masterfully balances utilitarianism and aesthetics. 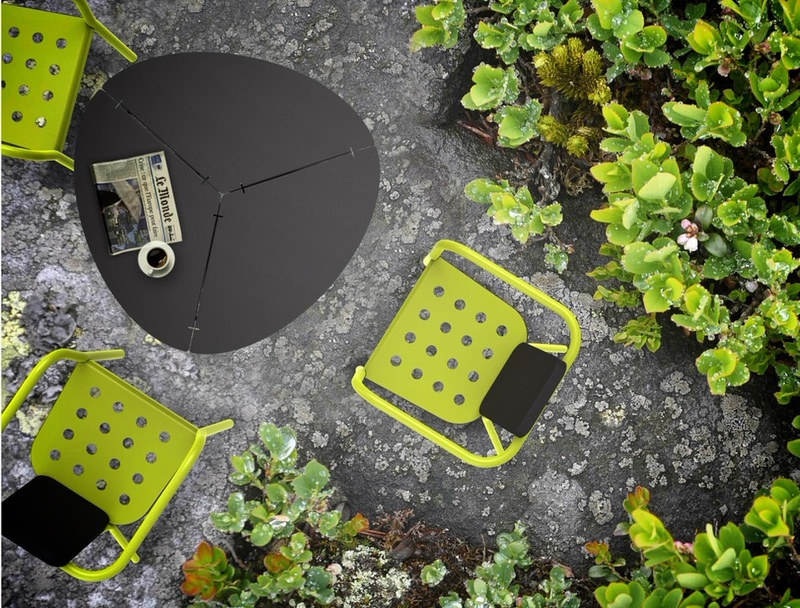 The Helm chair by Matière Grise has a seat base with a grid of 16 cut-out holes for water run-off making the chairs suitable for outdoor settings. 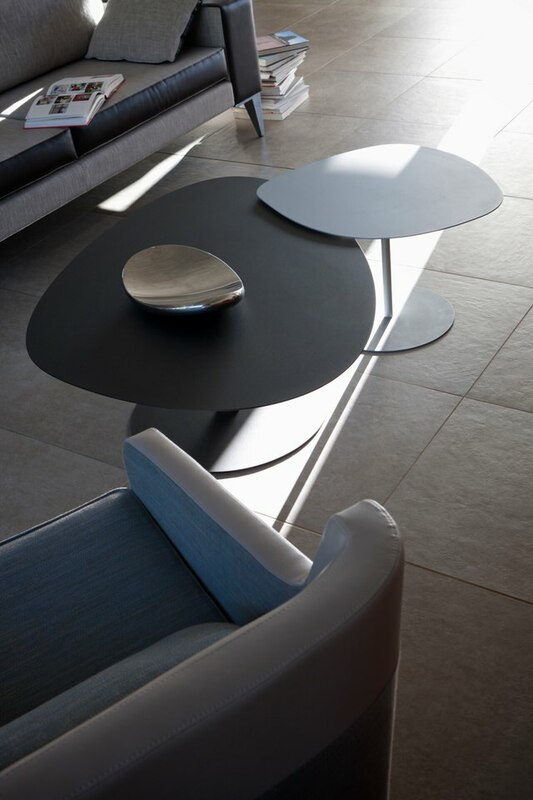 The chair is pictured here with the Loo table (also one of Matière Grise’s iconic designs) and features an optional backrest cushion which is upholstered in a hardwearing fabric cover that can be also removed for washing. 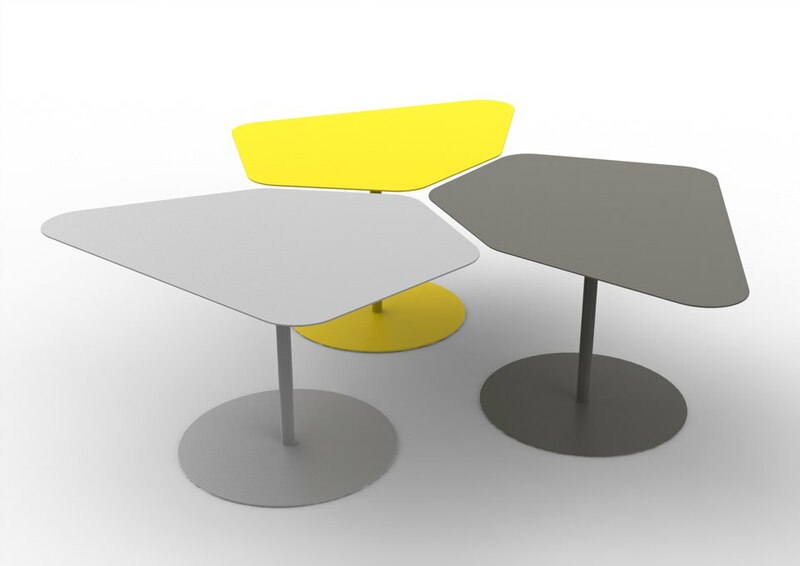 A set of three angular tables with a specific pentagonal shape that allows them to fit together in different configurations. This is due to the particular angles of the irregular pentagon’s corners, which were selected to allow an interlocking mosaic to be formed for a larger continuous table surface. 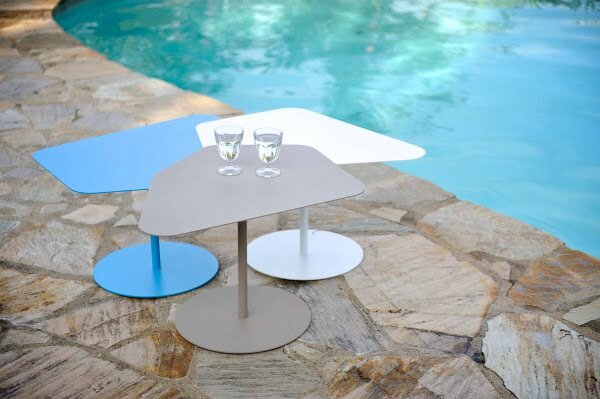 The flexibility of the 3 Kona Table’s design of course lies in the simple fact that the set can be split up when desired, and that the furniture — as is the case with Matière Grise’s other offerings — is well suited for both indoor and outdoor settings. 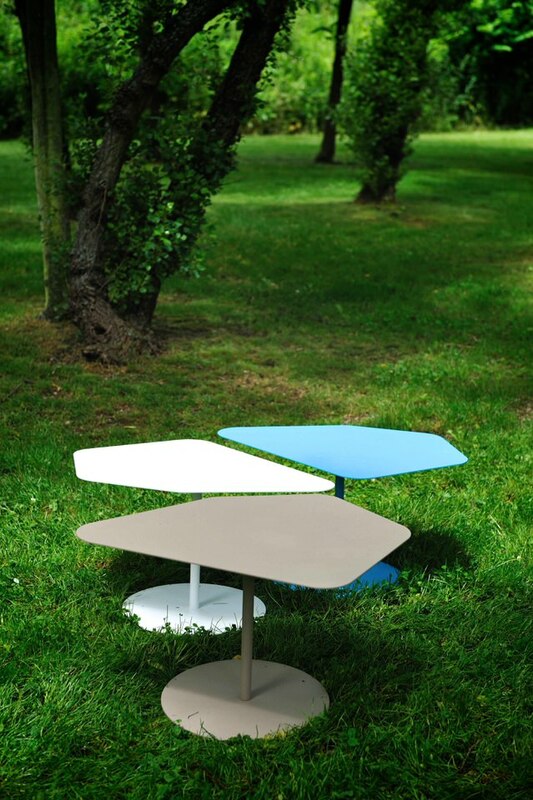 They benefit from sturdy aluminium constructions and resilient paintwork, with hues that can be mixed and matched across Matière Grise’s pallet of 30 colours. 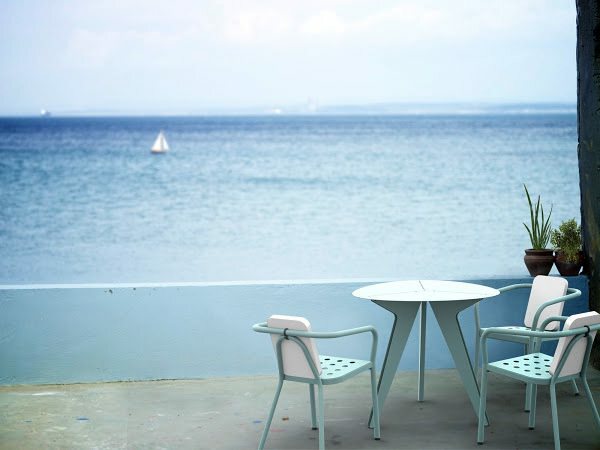 In fact the sheer vibrancy of the painted furniture has come to be one of the brand’s defining aspects.